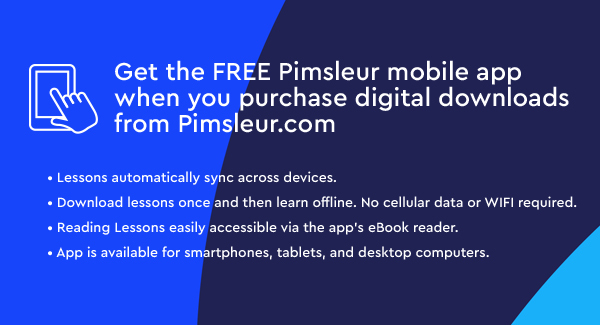 Pimsleur includes 5, 30-minute audio lessons and reading instruction as streaming or audio download, plus an integrated Reading Booklet. 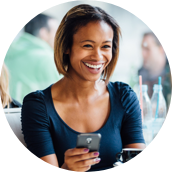 The Pimsleur® Method: the easiest, fastest way to learn a new language. Completely portable, easily downloadable, and lots of fun. You’ll be speaking and understanding in no time flat! With this newest edition of Spanish 1, we reflect the general trend toward casual interaction and have updated vocabulary and structures. What you are learning is neither stilted textbook Spanish, nor street Spanish, but rather everyday Spanish as spoken in Mexico, Central America, and South America. This course includes Lessons 1-5 from the Spanish Level 1 program featuring 3 hours of language instruction. Each lesson provides 30 minutes of spoken language practice, with an introductory conversation, and new vocabulary and structures. Detailed instructions enable you to understand and participate in the conversation. Practice for vocabulary introduced in previous lessons is included in each lesson. The emphasis is on pronunciation and comprehension, and on learning to speak Spanish. Reading Lessons begin in Lesson 2 and are included to provide you with an introduction to reading Spanish. Spanish is the official language of 19 Latin American nations, as well as Spain, the Dominican Republic, and Cuba. Further, it’s one of the six official languages recognized by the United Nations. 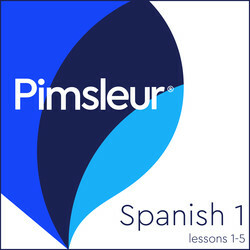 Pimsleur's Spanish programs teach an educated Latin American Spanish, featuring only native-speakers. Students can expect to understand the lessons clearly and to be understood by Spanish speakers everywhere.